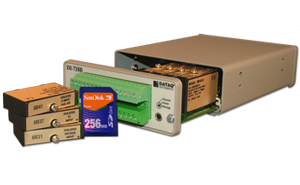 Data acquisition systems from DATAQ Instruments are available for a wide range of special-and general-purpose applications, and for any interface and deployment method. 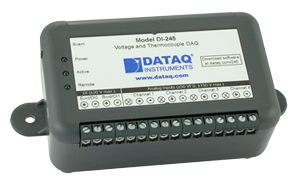 Our data acquisition systems support voltage, current, thermocouple, 4-20 mA measurements and more in any combination. 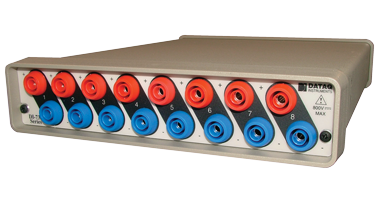 Choose either a USB or Ethernet interface, and stand-alone solutions that record data to their own memory, or those that acquire data to a PC using our popular WinDaq software. 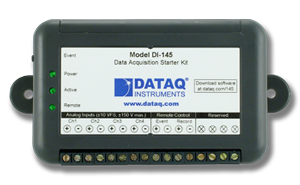 View all Data Acquisition Products. Read our reviews and testimonials. 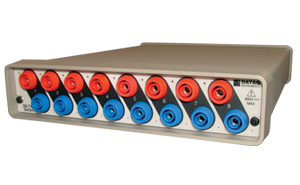 Provided with software that delivers PC-based storage and a real time display of acquire data. Ready-to-run data acquisition software offers a no-programming environment to acquire, display, record, analyze and export data to other applications. Software that supports programming languages like VB, and Dot Net under a Windows operating system environment. Protocol-level support that allows root access to a given device's command set from any programming language or operating system.